The Tarot Card Meanings App - An easy to use and stylish introduction to all the tarot cards with brief and full meanings plus handy hints which help to make the meanings easy to remember. 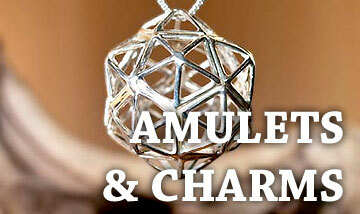 Complete with reverse meanings, numerical values and more. Read more and download for iPhone and iPad. The Tarot Card Combinations App - You know the card meanings, but what do they mean when in realtion to the other cards drawn in a spread? 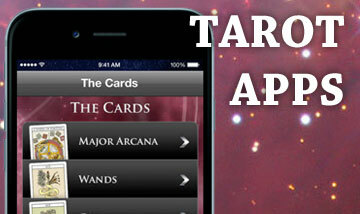 Our easy to use App gives you answers to any combination of cards and take your readings to a new level. Read more and download for iPhone/iPad or Android. The Tarot Quiz - Know your tarot cards? Test yourself in the Tarot Quiz with a multiple choice challenge of the meanings, and associated information of all 78 cards. Choose easy or hard modes and upload your high score to Game Centre. 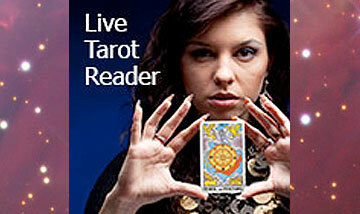 Who is the world's leading expert on Tarot? Read more and download for iPhone and iPad. 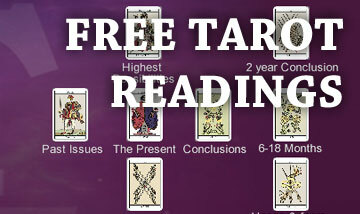 Tarot Card Readings - indulge yourself in the world of tarot cards and conduct readings with fixed spreads and a free form option. Save your readings in a personal journal for future reference and browse illustrations of all 78 cards. Read more or download from the iTunes store or Google Play for Android.